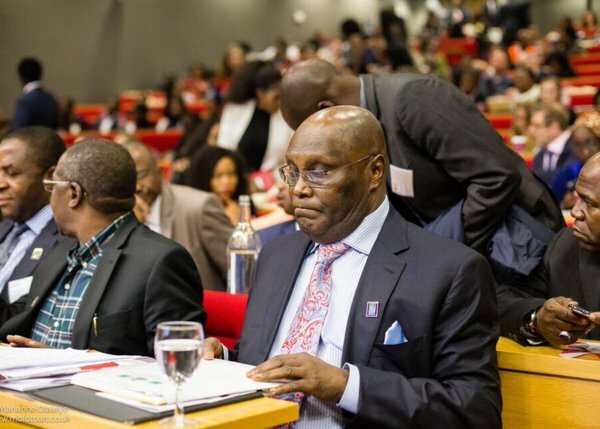 State of origin should be replaced with state of residence – Atiku – Royal Times of Nigeria. Former Vice President Atiku Abubakar said the quit notices being issued by different ethnic group has been generating heat in the polity. In a statement he signed on Sunday, Atiku said state of origin should be replaced with state of residence in the constitution , to promote unity. The statement, titled, ‘An eye for an eye will leave Nigeria blind,’ also called for restructuring of Nigeria. He said, “First and foremost, it is a fallacy to believe that there are people of northern or southern origin. Nigeria only has people of one origin. We are all of Nigerian origin. “As Nigerians, we must be pragmatic enough to realise the obvious truth that an eye for an eye will leave Nigeria blind. “Let me at this juncture remind these “quit noticers” that when brothers fight to the death over a domestic dispute, it is their neighbours that eventually end up inheriting their father’s property. “It is also for this reason, among others, that I have urged and still urge that Nigeria should be restructured and that state of origin ought to be removed from our constitution and other relevant laws and policies, to be replaced by state of residency. “If we, as Nigerians, are tied to our residency, rather than the state where our ancestors originated from, this whole idea of quit notice would not have arisen in the first place.